The Janatha Vimukthi Peramuna indicated that it would initiate an impeachment motion against President Maithripala Sirisena for deliberately acting in violation of the Constitution, Colombo Telegraph learns. The impeachment motion will be based on the unanimous ruling delivered by the Supreme Court stating the President’s actions are unconstitutional. Speaking to the media, JVP Parliamentarian Vijitha Herath said they would initiate a no-confidence motion if the President continues to act in violation of the Constitution. He confirmed that an impeachment motion could be brought against the President. 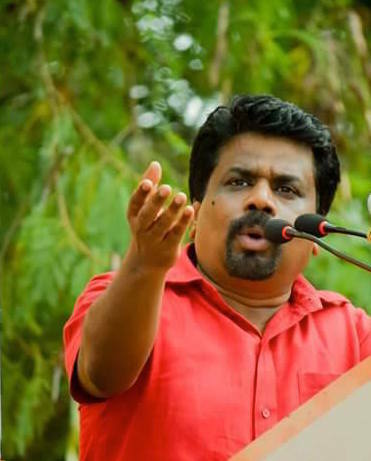 Speaking after the Supreme Court ruling today, JVP Leader Anura Kumara Dissanayake said a special investigation should be launched to prosecute everyone who supported the “Constitutional Coup” on October 26 and afterwards. The JVP Leader said his party would also take the lead in initiating this process inside Parliament. Meanwhile, UPFA MPs held a discussion with the President after the Supreme Court delivered its verdict. It is learnt that the UPFA MPs have discussed the possibility of “resigning from the government” during the meeting with the President. The UPFA MPs continue to identify themselves as the ruling party although the Court of Appeal interim order has ousted them temporarily. President Sirisena, speaking to the UPFA MPs, had said he would take future political action after taking the opinion of the Supreme Court on former President Mahinda Rajapaksa’s appeal against the Court of Appeal interim order into account. He had also said he was “not ready” to work with UNP Leader Ranil Wickremesinghe.